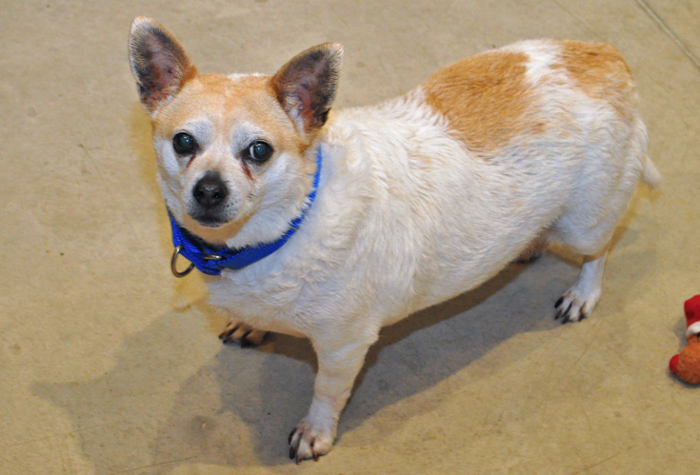 Bella is a full-figured 10 ½ year old Chihuahua mix. 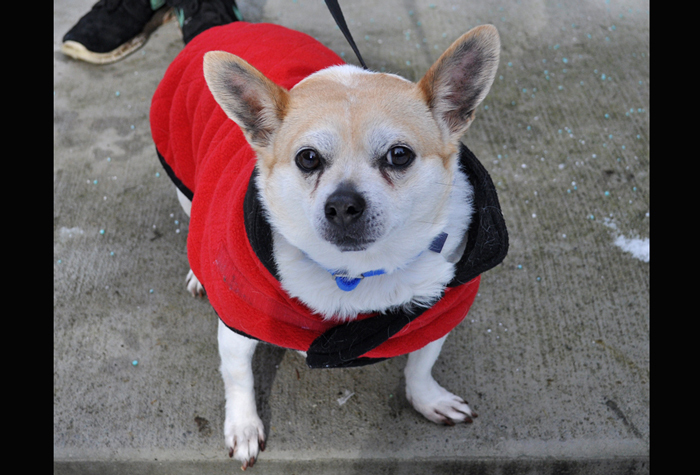 Her previous owner told us she is friendly, playful, loveable, gentle, and easygoing. Bella is housebroken and gets along with kids and with cats. She reportedly barks only when someone is at the door. This sweetheart weighs 30 lb.